Welcome home to the newly renovated 6734 Maryellen located in the Kenwood Homesites subdivision of Normandy in St. Louis County. 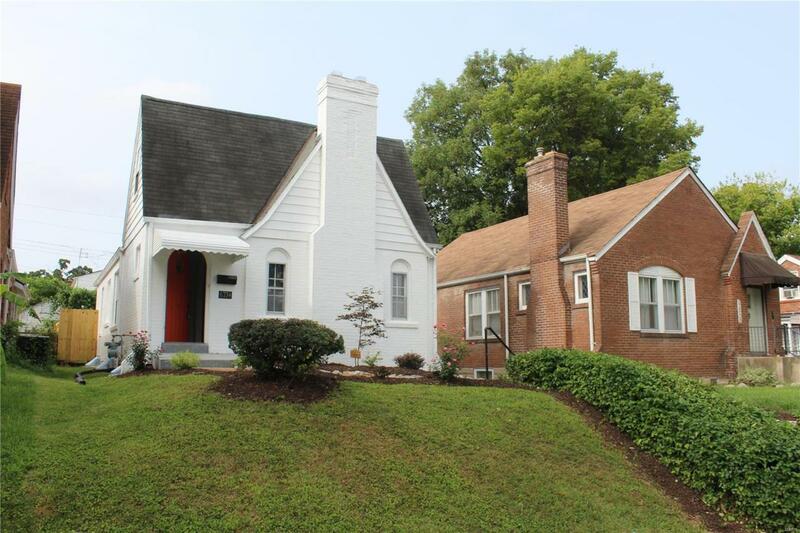 This charming home features two first floor bedrooms a unique attic bedroom conversion with a large walk in closet! The front room features three stain glass windows and a fireplace! The kitchen and 2nd bedroom both open directly to a quaint back sun-porch with a view of the newly fenced yard. The kitchen is beautifully remodeled with new wood flooring, cabinetry, back-splash,and stainless steel appliances! The bathroom is newly remodeled as well and features a jacuzzi tub! The lower level is partially finished with an additional bedroom and Washer/Dryer. The water hook-up near the basement bedroom makes for easy future bathroom additional. There is also a 1 car detached garage towards the end of resealed driveway neighboring the landscaped front yard! This property is being sold in as-is condition. Make your appointment to view this home today!